Loads of potential with this 1950's brick ranch home! 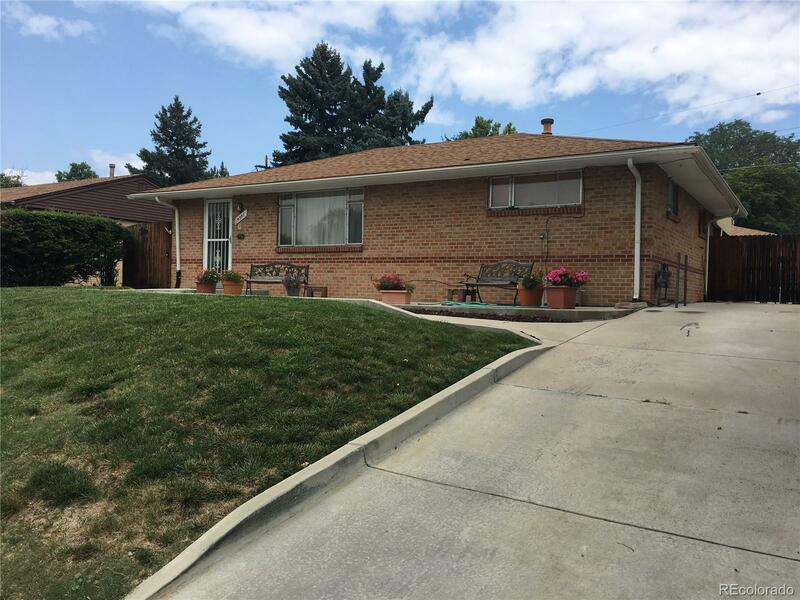 House sits in a prime location near Sheridan and Jewell in Denver's hot Mar Lee neighborhood. Lots of square footage for the price in this area. 3rd bedroom was converted to a dining room at some point. There is potentially a 3rd non-conforming bedroom in the basement, and also plumbing for an additional bathroom as well. Hot tub in basement does work and is included with the house! House does need some work and is priced accordingly. There is also a large shed in the backyard. Brand new concrete driveway was added and goes all the way into the backyard. Room for 4-5 cars easily. Large covered patio in the backyard with ceiling fans to enjoy summer afternoons and evenings. Central AC. Roof replaced 4 years ago. Come see this home today! !